Cupcakes 'n Daisies: Filler . . . . 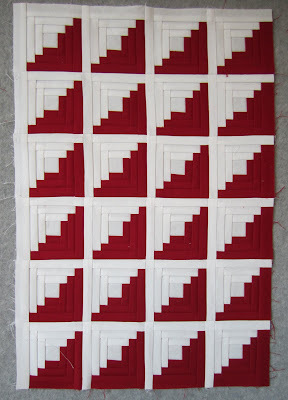 I've finished the last two "quilts" for my Red and White Tribute Quilt. I just knew I needed some flying geese in my project, and there were several quilts with geese that caught my eye. 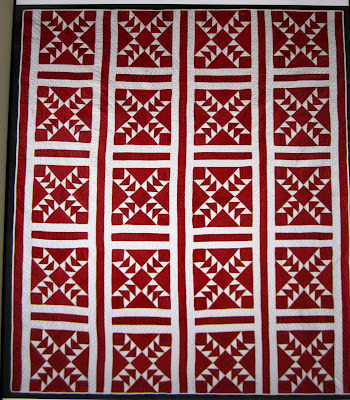 Like this quilt for example, #765, displayed in Pavilion 1, Interior Top. Same theme different version, # 892, displayed in Pavilion 10, Exterior Top. In the end my decision was driven by the space I had to fill, and this one fit the bill perfectly. This is quilt #1026 and was displayed in Pavilion 12, Interior Bottom. 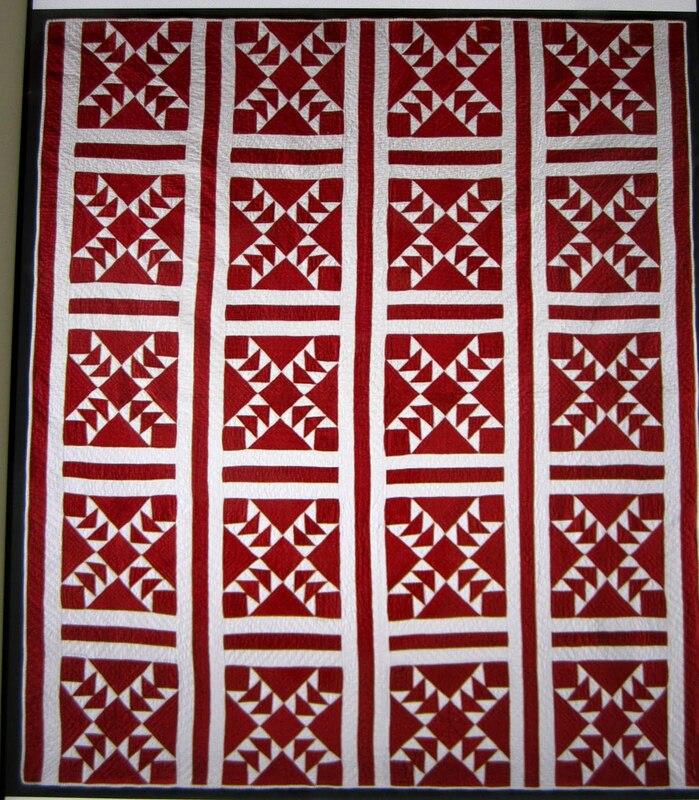 The quilting really makes this quilt, there are braids between each row of geese and in the border. I plan to ask my quilter to do the same. So here's my version of 1026. I also felt pretty strongly that some log cabin blocks needed to be in my quilt. So that's it, all that's left is putting together all the pieces. And here's how I'm doing it. 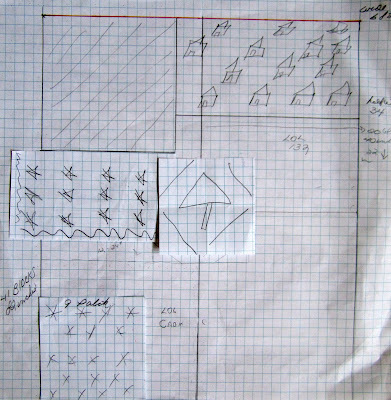 I'm shooting for a quilt around 68" x 82" and using graph paper to get a general idea of how it should all go together. Scary, I know! I'm guessing this isn't how the professionals do it. Thanks so much for your continued support and interest in this project, your comments have motivated me and convinced me that this will all come together, hopefully it doesn't all come together in my trash can . . .just kidding, I'm too stubborn to give up now! I hope you have a wonderful weekend, the temperatures here are finally bearable. After heat indexes in the triple digits, 80 degrees is feeling great! I love the ones that you are showing today! I especially like version #892. For me I suppose it is the complexity of it all. Looking forward to seeing your version complete. I've been following your progress on this one and wondered how you were going to put it together. 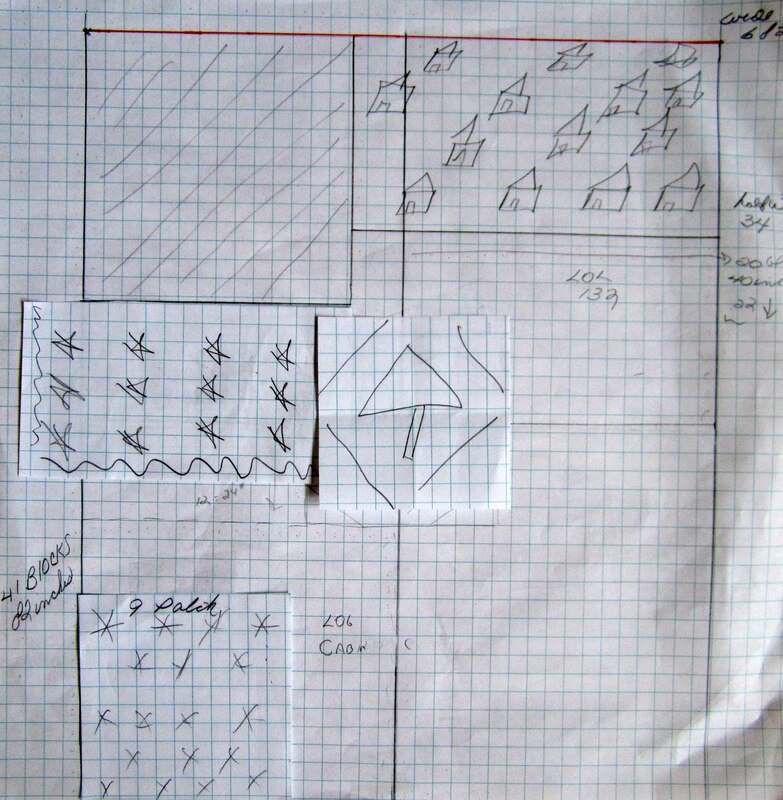 The more time I spend with the girls from the Modern Quilt Guild the more I come to appreciate the more liberating way they plan out their quilts and put them together, so your graph paper has not thrown me off at all. Can't wait to see how this turns out. I love the red and white!! I'm definitely going to have to do one. Watching your progress has been so much fun. 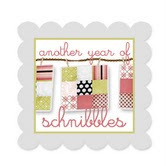 With each new post, I can't wait to see what your inspirational quilt will be and then your version of it. This quilt is truly a one of a kind. Amazing! 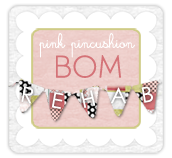 You are amazing to tackle a project like this! I feel nervous about it and it isn't even my project (and I'm in a different county!). I really can't see how this is all going to come together...yikes! You go girl! Anyway you draft it, it'll work. Those professionals just use fancy tools and such. This is going to be a stunning quilt when finished! I'm enjoying the process. 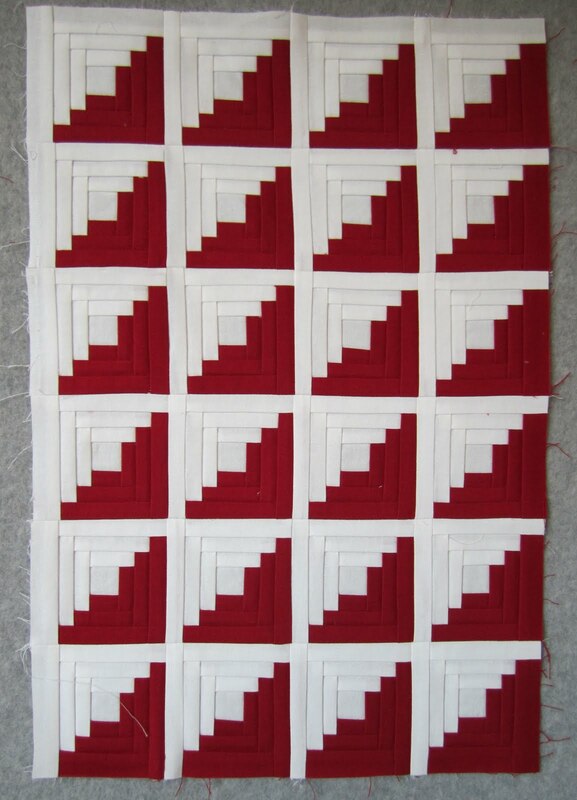 You have inspired me to make a Red & White quilt :-D This is going to be a AMAZING one of a kind quilt ! What a wonderful tribute ! Your quilt is going to be gorgeous~ and if you don't care for it, I'll give you my address!! :-) I just love red and white. Have a happy weekend! I just love this tribute. cannot wait to see it all finished! Can't wait to see the finished quilt. All of the little quilts that you've shown look lovely. Thanks for sharing the progress. I can not wait to see what you end up with !!!! Just beautiful ... the colors & design I love.